You work hard and travel frequently to build financial security. However, to prepare for retirement, you need more than hard work. The right financial advisor can be the difference between struggling through retirement and living comfortably after your final landing. Choosing that advisor can be difficult, but asking the right questions can help you find an advisor you can trust to partner with you throughout your financial lifecycle and beyond. Don’t just ask for education and certification, but who provided the certification. Some financial advisors go through a rigorous education process, while others pay a fee and get an online certification with little effort. You want to work with an advisor who has had the training necessary to truly understand what he or she is doing for you. Some designations have far more depth and prestige than others. You should look for a few key credentials: Certified Financial Planner (CFP), Chartered Financial Analyst (CFA), Chartered Financial Consultant (ChFC), Accredited Investment Fiduciary (AIF), and Personal Financial Specialist (PFS), which is a CPA who has been further trained in additional aspects of financial planning. 2. HOW DO YOU CHOOSE INVESTMENTS? Some advisors choose investments based on commissions or prior relationships. A good advisor will have you complete a risk questionnaire and make investment selections that are based on your goals and risk tolerance. Many advisors sell products from one company and the likelihood of them telling you that their approach is not a good fit for you is probably low. They will sell what they have to offer. Find an advisor that is not compensated based on what they sell you, and that is product agnostic, meaning, they can provide you with an appropriate portfolio for your risk tolerance and needs, not fit you into their product. Is your adviser fee-based, or does he or she rely on commissions? A fee-based advisor has no conflict of interest about what investments to put your assets in. A commission-based advisor will only make money on the next trade or sale, so are they trading for your benefit or theirs? There are many fine commission-based advisors out there, but fee-based advisors provide a more transparent solution. The longer an advisor has been in business, the more experience that advisor has in understanding and navigating the investment market. How many bear markets has the advisor seen and what did they do with their clients’ assets in those times? You don’t want to entrust your financial security to someone with no more experience than you have. 5. WHAT IS YOUR RETENTION RATE? Some clients stay with an advisor out of inertia. Over time, though, smart investors will look at the service they are receiving, and make conscious decisions to stay or look for something better. A high retention rate over time shows that clients trust their advisor to act in their best interests and they are receiving value from the services they are receiving. 6. HOW DO YOU DECIDE WHAT I NEED? This is where you will start to understand the way your advisor will operate. You want to work with someone who has a process, but who is also flexible enough to take into account your individual circumstances. And if the advisor has experience working with other crewmembers like you, that means they are more likely to understand your unique needs. 7. WHAT SERVICES AND PRODUCTS DO YOU PROVIDE? Some advisors steer you specifically towards investment vehicles and mutual funds; others provide a broader set of services that go beyond just managing your investments. If you are looking for an advisor to partner with for the long term, it’s important to choose one whose services encompass your full financial plan, including 401(k) management, estate planning, survivor assistance, and generational planning. 8. WHAT REFERENCES CAN YOU PROVIDE? A trusted advisor has clients who are eager to share their great experiences with others. You should work with someone whom other people trust, and talking to their other clients will help you understand how that advisor can help you grow into a secure financial future. If an advisor says they have experience working with crewmembers, be sure to ask for those references specifically to gauge how well they understand your unique circumstances. When choosing an advisor to prepare you for your financial future, it’s important to partner with one who has experience with your unique situation and benefits, who can provide guidance during every stage of your career, and who will assist your family members and loved ones should something happen to you. We understand how difficult it can be to trust someone with your future. 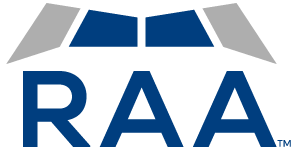 Our clients are happy to discuss their experiences with you, so feel free to request a reference to learn how RAA can help you plan for a secure financial future.